This week in California history, Los Angeles Kings owner Jack Kent Cooke made headlines when he threatened to fine his players $100 each for not protesting a call that did not go the team’s way in a game on 1 January 1969. The New Years Day matchup against the St. Louis Blues actually ended in a scoreless tie, but the Kings almost pulled ahead following a second period goal by Bill Flett that did not count. Evidently, Cooke felt that his club may have won the game if the players had argued more vehemently with the officials about the disallowed goal. Hey would you look at, Ryan Getzlaf scored a goal with a goaltender occupying the net. It was his second tally of the year and it came on the man advantage, which means Getzlaf is still searching for his first even-strength goal since April 11th2015. 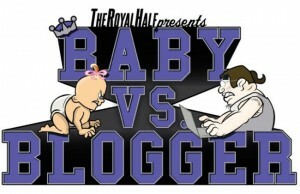 For those keeping track at home, that was 262 days ago. In that same time span, Anaheim could have hatched nine different broods of ducks (one after another), as the incubation period for waterfowl is roughly thirty-days. Not sure what the team would do with all those ducklings, but it certainly leads to an interesting line of questioning. Who would score more even-strength goals, one Getzlaf-sized duck or one hundred duck-sized Getzlafs? Jeff Carter is still listed as day-to-day with an upper body injury, but Kings general manager, Dean Lombardi, is still optimistic that he could rejoin the team for the remainder of their road trip later this week. Prior to sustaining an early injury in Saturday’s game against Arizona, Carter had played in 173 consecutive regular season games for the Kings dating back to November 25th 2013. Over the course of that streak Carter scored 61 goals and 70 assists. He is currently tied for the team lead in points, and while his absence will be noted in their upcoming games, they should have no issues weathering the storm. Tyler Toffoli certainly didn’t seem to lose a step last night, he picked up his second career hat trick as the Kings blanked the Canucks 5-0. Tonight marks the first meeting between Chicago and Arizona since last season’s notable transaction. On February 28th the Coyotes dealt impending unrestricted free agent Antoine Vermette to the Blackhawks for defenseman Klas Dahlbeck and a first round pick in the 2015 NHL Entry Draft. We know that Chicago went on to win the Stanley Cup, but they still paid a very steep price. While we are still years away of legitimating assessing the full impact of the trade on the Blackhawks, we can certainly declare the Coyotes as the clear winners of the transaction. They ended up re-signing Vermette in the offseason to a reasonable two-year deal and in Dahlbeck they get a young, serviceable and versatile defenseman who is still finding his role with the club. His underlying numbers aren’t great in Arizona, but even Oliver Ekman-Larsson does not have a 5 v 5 Corsi For % above fifty this season. It’s worth noting that of the team’s four defenseman who have played at least thirty games, Dahlbeck has played the fewest even-strength minutes, but has accounted for 13% of the d corps 15 even-strength goals. He’s also logged a significant amount of time on the penalty kill and currently ranks thirty-third in the league for most short-handed time on ice per game. The Globe and Mail titled the incident as “Silent Kings Draw Fines,” but it wasn’t necessarily that exceptional for the Kings’ charismatic owner. Originally from Hamilton, Ontario, Jack Kent Cooke made his fortune as a publication magnate and real estate mogul (his assets included the Chrysler Building in New York). He first entered the sports world in 1951 when he bought 80% of the Toronto Maple Leafs baseball team of the International League (a minor league system). After a few failed business ventures and unsuccessful efforts to bring Major League Baseball to Toronto, Cooke eventually sold his Canadian interests and made his way to California. He purchased the Lakers in 1965 and then bought the Kings a year later for $2-million. 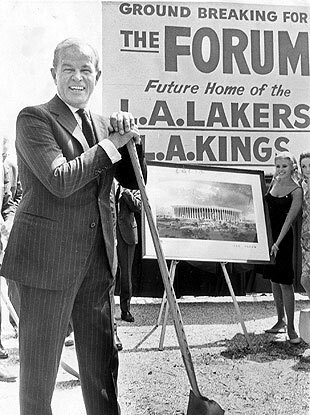 To accommodate both his Los Angeles teams, Cooke built the “Fabulous Forum,” as he affectionately referred to it. He later sold his L.A. teams and the Forum to Jerry Buss, but not before he became the majority owner of the Washington Redskins in 1974. Cooke owned the Redskins for twenty-three years, winning Super Bowls in 1982, 1987, and 1991. While he certainly made a splash in the business and sports world, Cooke also had quite the personal life. He was married five times and his first divorce settlement (1979) cost $49-million, which was reportedly the largest in history up to that point. Cooke passed away on 6 April 1997 bequeathing nearly $40-million to his family members and a whopping $800-million to serve as the endowment for the Jack Kent Cooke Foundation, which helps to assist high-achieving low-income students pursue postsecondary education. 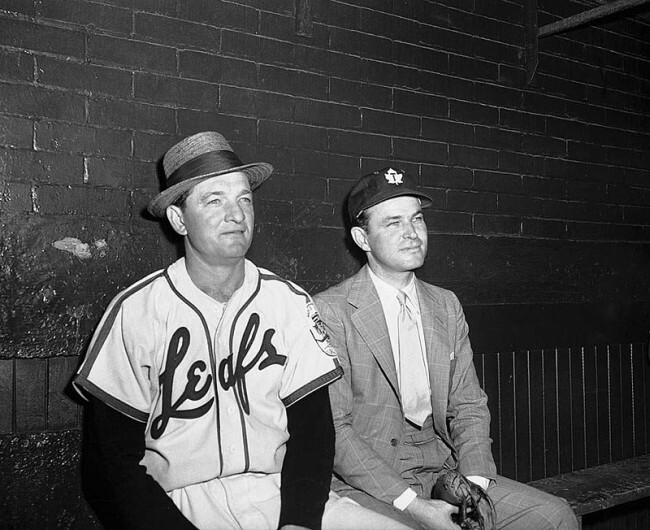 Jack Kent Cooke with Toronto Maple Leafs baseball player in the dugout, circa 1955. If you want to go down another trade rabbit hole in advance of tonight’s Chicago-Arizona game, here’s a fun one that Catherine Silverman reminded me of. We already know about Dalhbeck’s path to the desert, but on the opposite blue line in Chicago’s system is former Coyotes defenseman, David Rundblad. Rundblad was originally drafted by the Blues in 2009, but before he even took the ice for St. Louis he was dealt to Ottawa for a first round pick. The Blues then used that pick to draft none other than Vladimir Tarasenko with the sixteenth overall pick in the 2010 NHL Entry Draft. Certainly seems like Ottawa lost that trade, but hold up, the Senators then used Rundblad and a second-round pick to acquire Kyle Turris from the Coyotes on 17 December 2011. Over the next three seasons in Phoenix Arizona, Rundblad only played twenty-six games and was dealt to Chicago in 2014 for a second-round pick. The Coyotes then used that pick to select Christian Dvorak in the 2014 NHL Entry Draft. Dvorak was fifth in scoring in the Ontario Hockey League last season with 109 points and is currently leading the OHL with 28 goals and 37 assists in twenty-seven games. Hindsight is always twenty-twenty, but the Blackhawks essentially gave up Christian Dvorak, Klas Dahlbeck, and Nick Merkley for forty-three games of Antoine Vermette and David Rundblad, who they waived yesterday. Friendly reminder that David Rundblad has been traded for both Kyle Turris & Vladimir Tarasenko. Sometimes you just get it wrong. 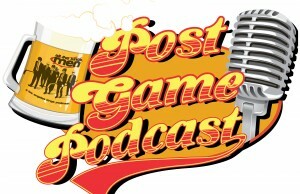 *The Preview Professor returns on January 19th with some history about another eccentric billionaire, Howard Hughes, and the four Pacific Division team in action that evening. Professor Mike hails from Sudbury, Ontario (4 hours north of Toronto) a place that has more Kings connections than you’d think. The city’s northern boundary reaches as far as the community of Levack, hometown of Kings great Dave Taylor. As a child, Mike once met Taylor in a gravel pit, as you can imagine, he was thoroughly impressed. He has also spent more than a few bleary-eyed nights at the Beef n Bird, a tavern founded by Justin Williams’ great uncle Jerry Toppazzini. Mike’s only wish is that one day people will call him “the Professor” with the same adoration bestowed upon Ben Scrivens. You can follow Mike Commito on Twitter @MikeCommito.